The Royal College of Organists is a unique charity with an important mission (if you haven�t already, you can read more about us and the work we do here). But, like so many charities, the College is not a rich organisation. We do not receive any Government funding, and it is only thanks to the generosity of more than 2,000 worldwide members and our many benefactors past and present that we are able to continue finding and nurturing talented organists and choral directors, as well as building audiences for the future. We hope that our 150th anniversary will be an opportunity for those with an interest in the organ and organ music, and in the role organists play in our wider musical and cultural life, not only to celebrate, but also to reflect on the importance of College�s work and to consider supporting our 150th Anniversary fundraising. In our 150th year we aim to build a new community of supporters, the RCO Anniversary Circle – a circle of at least 150 companies, organisations and private benefactors who together can help us build the strongest possible platform for the future of the College and all its work. For more information on joining the RCO Anniversary Circle, please see details here, or contact us on 05600 767208, email admin@rco.org.uk. You can see details of existing Anniversary Circle supporters here. Our annual President�s Appeal takes on greater significance that ever in this, our 150th anniversary year. You will be able to contribute to the appeal at many of our events, when you renew your membership (for College Members only), with a cheque or through our online donation page - see details here. Legacies have always been an important source of funding for the College, today perhaps more than ever given our turbulent economic times. Follow this link for more information on remembering the RCO in your will. 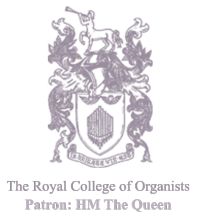 Membership of the Royal College of Organists is open to anyone who takes an interest in organ and choral music and the related arts, whether you play the organ, direct a choir, or just enjoy the music. Follow this link for information on becoming a Member. Thank you visiting these pages to find out more about our 150th anniversary celebrations. If you are able to support those celebrations and the associated anniversary appeal, we thank you on behalf of everyone who shares our passion for this remarkable instrument and its heritage.